Comprehensive Optometric office providing services for the entire family. Styling the who’s who of Los Angeles since he opened his doors in 1969. Our upscale optometry center, in Metlox prides itself on quality patient care. Dr. Lori J Clark is an Optometry Specialist with over 20 years of experience. The latest + most exclusive sunglass + eyeglass selection in the South Bay. 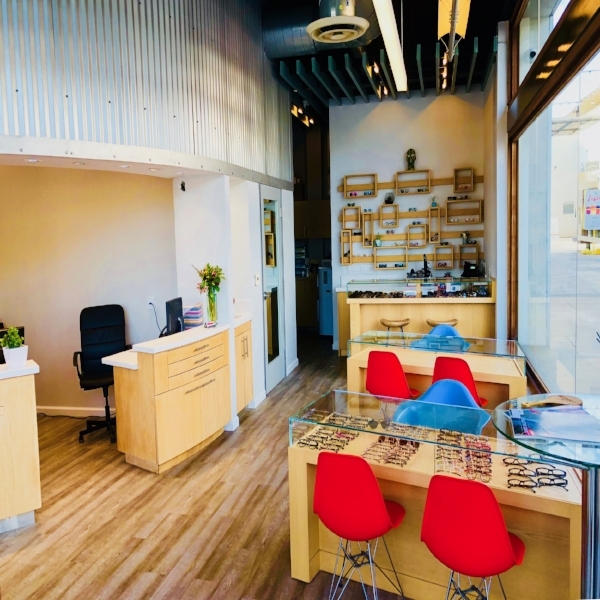 Whether you're looking for new pair of stylish new sunglasses, a pair of sophisticated reading glasses, or looking for an appointment with an optometrist for your annual eye exam or to refill your contact lenses prescription, Downtown Manhattan Beach has all your optical needs covered. With an ocean view this beautiful, it would be a shame not to see it clearly.